An apparent pet peeve of every mother is food allergy mainly protein sensitivity when consuming cow’s milk which is why the recommendation is to use the hypoallergenic formula. In turn, the milk helps relieve the colic symptoms associated with the allergies. Choosing the right brand is crucial thus, most mums end up with two popular and shared choices – Nutramigen VS Alimentum. The question now is whether one product is way better than the other. What are its contents and are there additional nutrients in every scoop? There’s no wrong answer here, to be honest. But you have to find the right milk that fits your baby’s needs. that most pediatricians and hospitals recommend the Alimentum but let's be honest here, not everyone can afford it. Nutramigen has the same components but lower price point. It’s a big win for parents who want to save and still provide their kids with a hypoallergenic formula that helps relieve the allergies and colic. Besides, just because it’s less expensive doesn’t necessarily mean that it skimped on the quality. Side effects are rare. It’s the worst nightmare of every mother – when their child with protein sensitivity ends up with adverse reactions to the milk. Fortunately, you can ease your mind because Nutramigen makes sure it won’t trigger any undesirable effect on your baby. But not all children react the same way so even if this is mostly the case, still closely monitor your little one. They can’t complain yet so as mothers; we have to look out for any signs that the milk doesn’t suit them. The toddler version will come in handy. Kids outgrow such allergies by 3 to 5 years old but if your child hasn’t yet, you can switch to the Nutramigen made especially for toddlers. It will help you ensure that there will be no discomfort or colic problems like fussiness or gas with the milk. Because it’s easy to digest, it will be simpler to hold it down and won’t cause the child to spit up. It smells and tastes nasty, but it does its job. That's what we're all here for, isn't it? 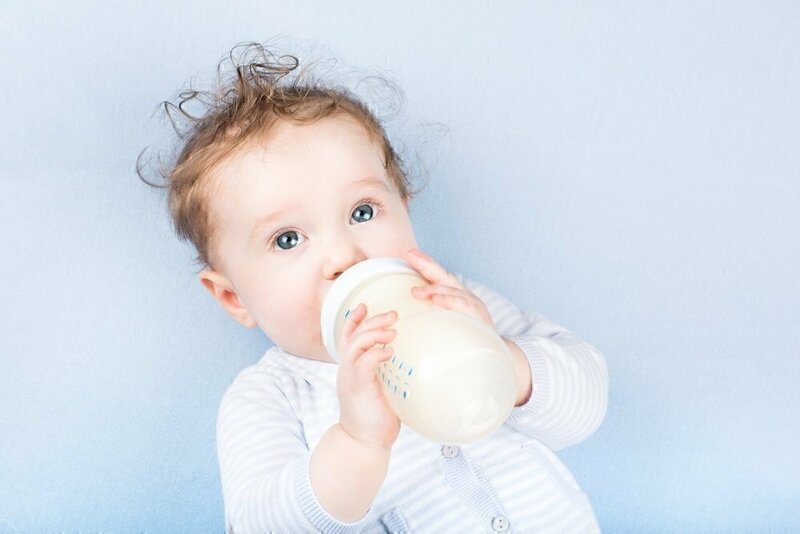 Sure it doesn't taste that good, but eventually, your child will get used to it especially if they can feel its effects on their reflux or colic – e.g., tummy feels a whole lot better, and they don't feel uncomfortable and fussy after feeding. If it works, that’s all that matters. Remember, happy baby, means a happy life. It’s highly recommended. For me, there’s always a big difference between hype and something that mothers swear by. You see, I trust other mom's opinion because it’s always about their personal experience and if anything, they understand the predicament of other parents which is why they will always tell you the truth – if it works, if it’s worth the price tag and if it’s a waste of money. And the fact that Alimentum earned the approval of both mothers and pediatricians, that says a lot. It works faster than Nutramigen. 48 hours is too long when your child is fussy, unable to sleep and won’t stop crying because of colic and other digestive problems. Of course, there’s no such thing as an instant relief, but in some cases, the Alimentum helped relieve the symptoms during the first few feedings. That’s such a huge relief to mothers because it’s difficult to see your baby unwell and in pain especially since they have no way of telling you what they’re feeling exactly. It’s effective. Let’s cut to the chase, shall we? That’s the main reason why you’re here and reading this review. You want to know if it works and I get that. Every scoop costs around 2-3x more than regular formula so it’s hard just to guess and gamble. 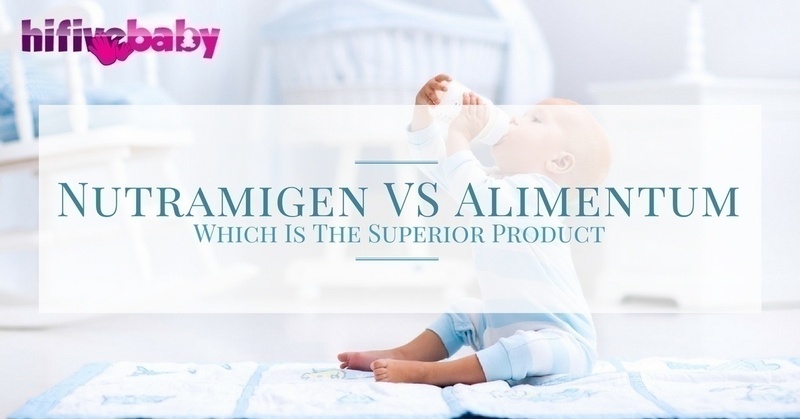 It is in connection with the first explanation why Alimentum is the better option – mothers of kids with a variety of protein sensitivity, colic and digestive problems can attest to its efficiency and how it’s worth every penny if even for some, it could break the bank. The brand has decades of experience in manufacturing milk for those who cannot tolerate regular formula. Similac has been around since the 1920s, so it’s safe to assume they know what they’re doing. I would personally go for Alimentum. I understand everyone’s concern about the price tag because let’s keep it real; your expenses aren’t limited to baby’s milk. But if the little one experiences relief from the discomfort of digestive problems, then I say it’s more than worth it. I remember starting to panic whenever my child would spit up so imagine the fear and restlessness other mums feel when their babies regularly do this and if they stay awake at night because of gas and colic. But of course, this is not to say Nutramigen doesn’t do its job because it does. And it’s suitable for those with a tight budget. To conclude, it will largely depend on you and your baby's needs – if you're still confused, you can talk to your pediatrician about it.